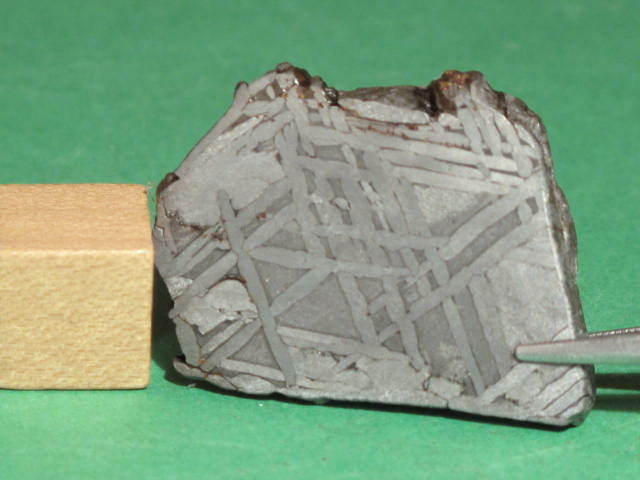 Description: History: The meteorite was purchased in Temara from a dealer who bought it in Beni Melal. 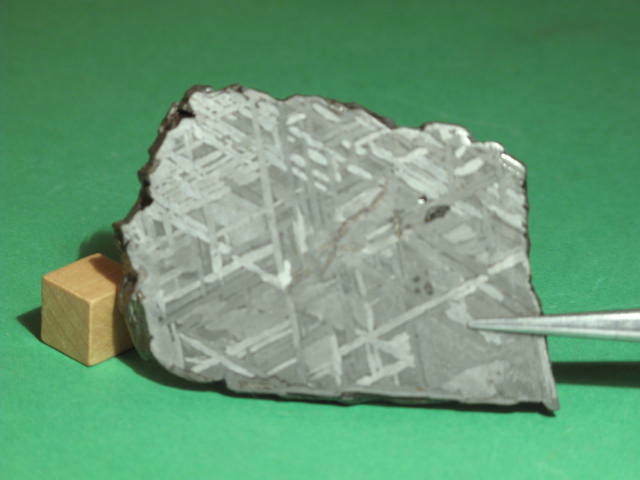 Petrography: Weathered interior, medium octaedrite texture. No inclusions were observed in the repository specimen. Rust formed during storage, after it was cut 4 to 5 years before classification. Geochemistry: Elemental composition in wt%: Ni = 9.7, Co=0.46; and in ppm: Cr=3.8, Cu=131.1, Ga=21.7, As=13.8, W=0.53, Pt=3.2, Ir=0.076 and Au=1.6. 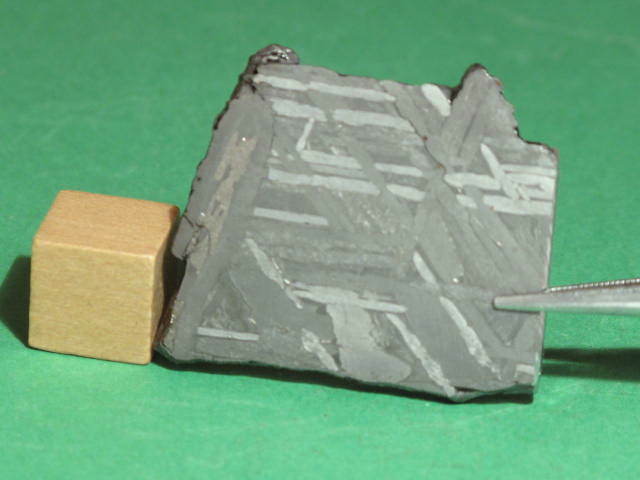 Classification: Iron, IIIE based on Ir, Co, Ga, and Au abundances (Malvin et al., 1984). 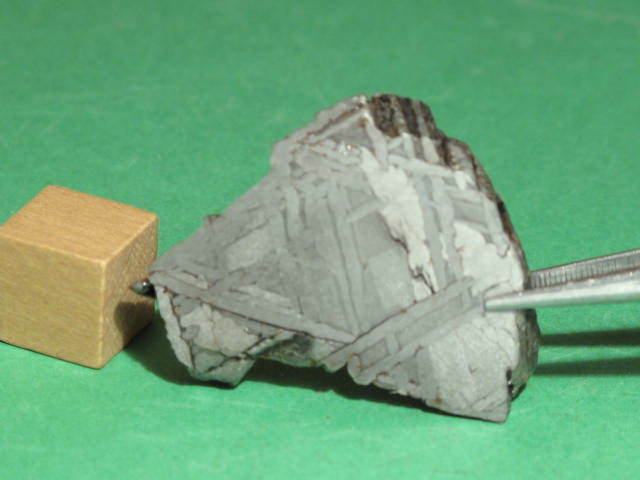 Note: This meteorite has been stabilized by an electrolysis process. # NWA11289-5-6 # NWA11289-6-5 # NWA11289-7-4 # NWA11289-12-8 About Scale: Each photo has a small one centimeter cube. That's a little less than a half inch on a side. The coin above is a US dime. Features: Etched part slice of fragment. Features: Etched part slice of fragment. Features: Etched part slice of fragment. 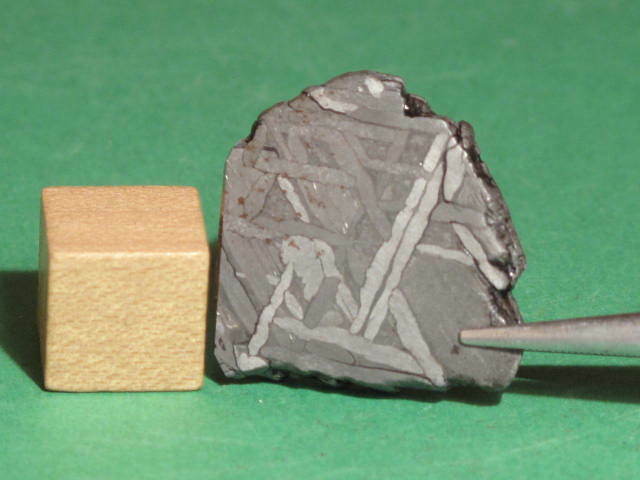 Features: Etched slice of fragment. 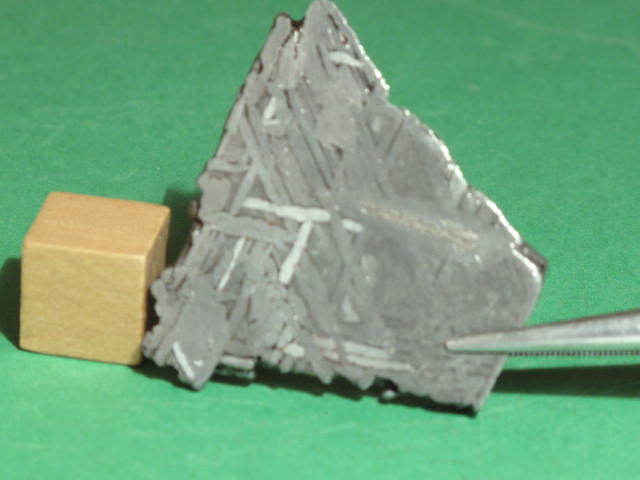 Features: Etched slice of fragment. Features: Etched part slice of fragment. 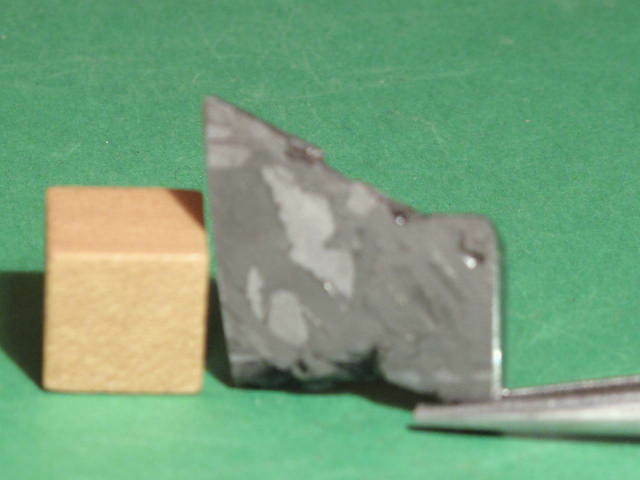 Features: Etched slice of fragment. 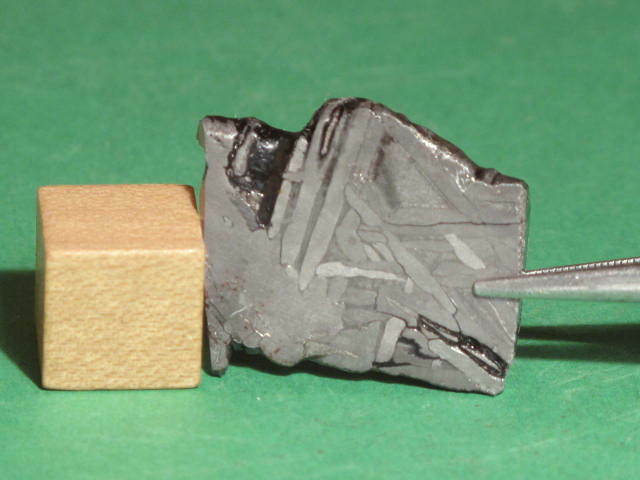 Features: Etched slice of fragment. 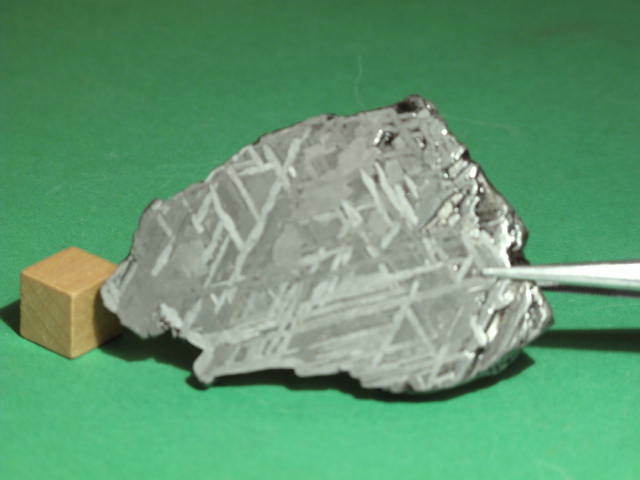 Features: Etched slice of fragment.